Bluetooth capability is one of the many great features of the iPhone. Bluetooth adds a degree of convenience by being on a call and not having to hold the iPhone. While the included iPhone headphones work well, sometimes they do not fit comfortably and they have the tendency to become tangled. The Discovery 975 comes with a lot of features that are very helpful to users. One of those features, which helps with noise cancellation, is “Advanced dual-mic AudioIQ2 technology” that cancels noise while still maintaining the natural sound of the conversation. The AudioIQ2 technology adjusts to noisy environments so callers hear crisp, noise-free calls. Moreover, the headset includes “WindSmart technology” which blocks wind noise. The headset also includes prompts that alert users of battery status, whether mute is on and the headset connection status. If users are unable to look at their iPhone to check connection status, these prompts become an invaluable tool. The Discovery 975 package includes a very innovative rechargeable case that is said to triple talk/standby times. 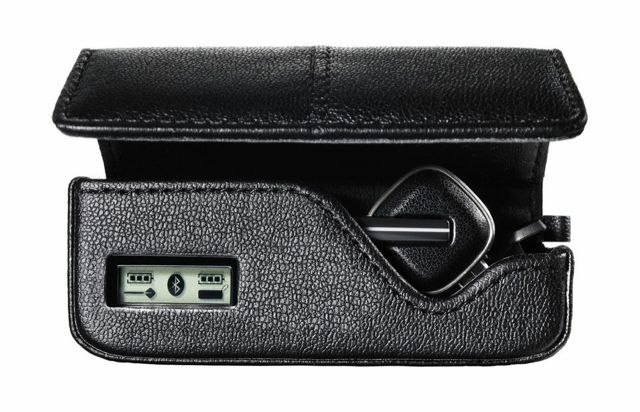 The case also includes a LCD display that indicates the connection status and battery levels of both the headset and case. This is an awesome feature since the case is essentially a traveling charger that is always on and for a battery, it is surprisingly compact. The case also has a helpful eject button that makes it easy to retrieve the earpiece. For multiple phone users, the headset includes “Multipoint technology” which pairs the single earpiece to two phones. This is handy if users have an iPhone and, oddly enough, another phone for example (unless it’s two iPhones, then that’s fine). Battery life for the headset is up to five hours of talk time and 7 days of standby time. The Discovery 975 is extremely comfortable to wear. The headset includes numerous sized gel ear-tips which provide a stable and comfortable fit. Some headsets include foam for the tips but I really like the addition of gel tips since the gel feel is very comfy and soft on the ears. The Discovery 975 is also extremely lightweight and really blends easy connectivity with a comfortable and stylish design. 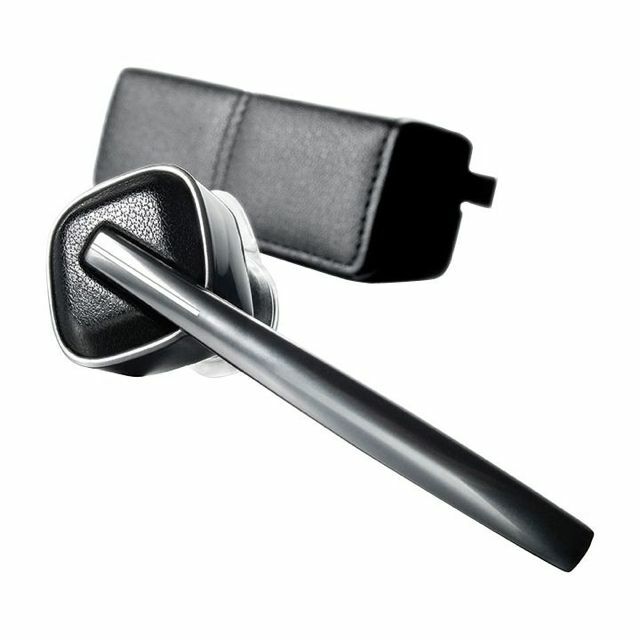 The Discovery 975 Bluetooth headset includes many convenient features and a few innovative ones as well. The headset is comfortable, fashionable and comes with great battery life. The headset is also backed by a one-year limited warranty and includes a carrying case that doubles as a charger, a case strap, AC charger, and three gel ear-tips (small, medium, large). The Plantronics Discovery 975 is scored a 4.5 out of 5. 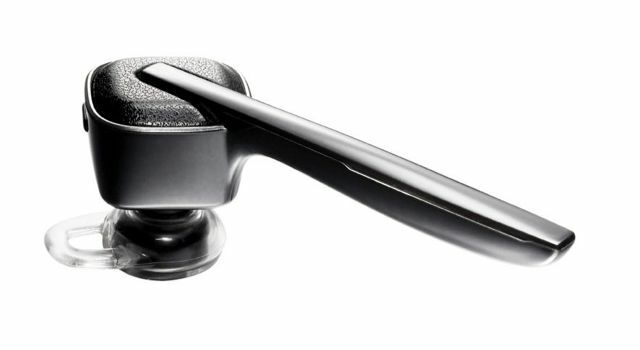 The Plantronics Discovery 975 is available on the Plantronics online store or at various local vendors for $129.99.